Lots of investors are quite happy to fund an entrepreneur who's run companies in the past. They feel that he knows the grind; he understands what's involved in running a startup , and has the experience and the expertise needed to be a good entrepreneur. This is especially true when he's run a successful startup in the past because success breeds success. If he's built successful startups and exited them after making a lot of money, it's logical to conclude that his chance of succeeding again are much better, and they feel backing him will tilt the odds in their favour . 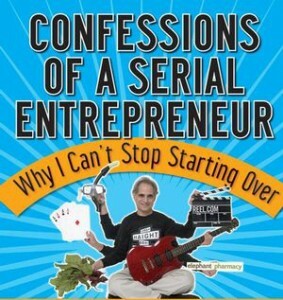 However I sometimes worry about investing in a serial entrepreneur . He is obviously talented and clever , because he's been able to run a company and sell it , which is not an easy thing to do. However, I worry about how passionate he is about this particular idea around which he wants to start his new company. If he really was passionate then would he have exited his first company? Is his focus when he's creating a startup to earn an outsize financial return on investment , so that he can flip this company and then move on to his next idea ? Or does he want to change the world ? While I do want a return on my investment, my major thesis when investing in a founder is to back someone who will create a world-class company which aims to make the world a better place. I want someone who has the passion to purse his moonshot idea - and idea which he is so much in love with , that he wants to take it all the way to completion . I worry about someone whose job description is being a serial entrepreneur , because this means that he will create a series of companies which he will exit. He's in love with creating companies and growing them up to a particular stage , rather than creating a company which will improve the world. Now, I do understand that not every entrepreneur can become a CEO . A wise entrepreneur plays to his strengths, and may realize that it's time for him to move on and hand over the reins of his company ( which is growing very well ) to a professional CEO , because he may not be very good at running a large company . The kind of founder whom I'm interested in investing in is not one who wants to be the CEO as his company grows , but someone who's so deeply invested in his company that he will make sure that the CEO will translate all ideas into reality . He remains the chief evangelist, because that's what his dream and passion was , which is why he started the company in the first place. I want to find someone who's a bit monomaniacal and single-minded - someone who's so deeply in love with his particular idea that he doesn't ever want to do anything else in his life, because this is what makes him want to get up in the morning and go to work each and every day.